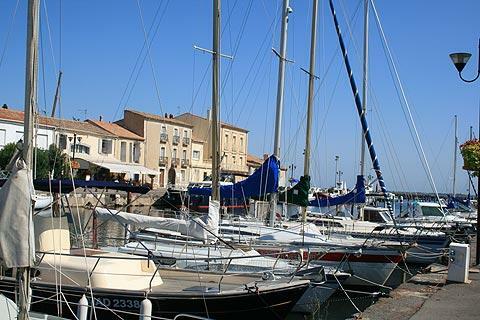 Marseillan is one of the picturesque villages on the Etang de Thau in Languedoc-Roussillon and east of Beziers. 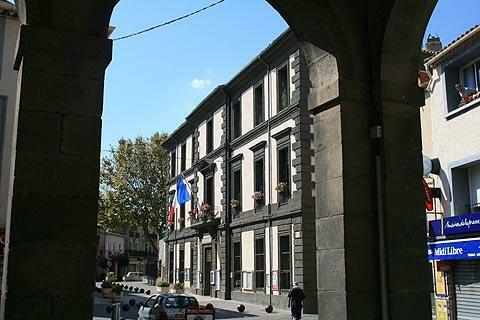 Once an active fishing port, its principal activity now revolves around its position at the end of the Canal du Midi (a world heritage site). 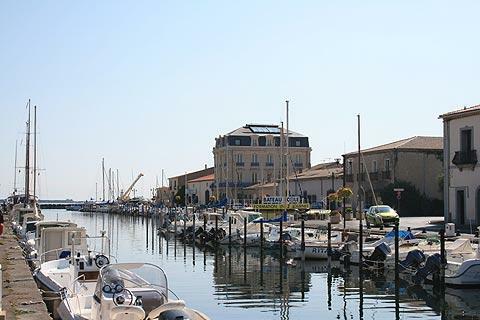 The port is pleasant and not over-commercialised, although there are plenty of small shops and cafes to distract you in the town, and Marseillan gives the impression of being a working town rather than a tourist town. A visit to Marseillan will almost always start with a promenade along the quais of the port, the liveliest part of the town. There is a good choice of restaurants along the quais where you can sit and look at the boats while eating your seafood. 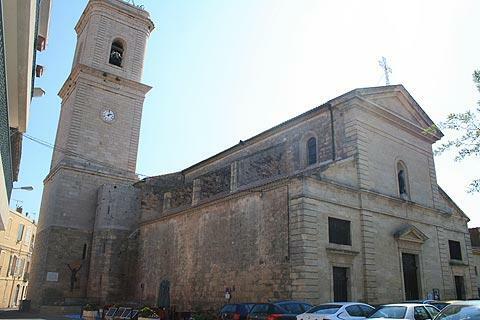 The 17th century Church of Saint John the Baptist retains parts of the original 11th century church that stood here and is worth visiting in the heart of the old town. Nearby you can see a traditional covered market hall, while the statue of Marianne in the town is said to be the oldest in France. 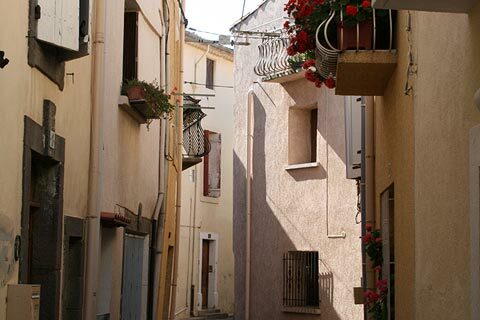 The town also has a myriad of narrow old streets to amble around inland from the harbour, a seemingly endless maze of two and three storey houses looking much as they would have done a hundred years ago (with the occasional 'posh' modern renovation among them). 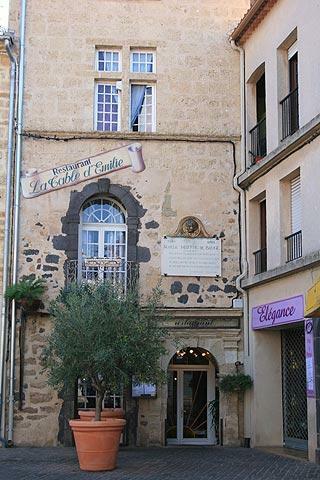 Marseillan is also the centre for the production of the well-known Noilly-Prat wine (vermouth). You can tour the Noilly-Prat centre on the south side of the quai: various different tours and experiences are available so see the Noilly Prat website for information and to reserve your tickets. The highlight of the Marseillan year is the 16th August, when the game of 'Capelet' takes over the town - a great 'action and adventure game' involving a lot of getting wet for the competitors! 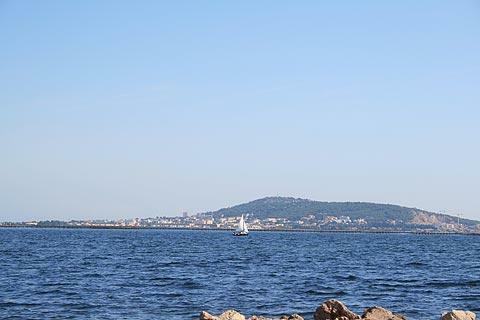 Nearby Marseillan Plage is a popular seaside resort, with a long sandy beach and a pleasure port and is especially popular with campers and is a centre for various nautical sports. 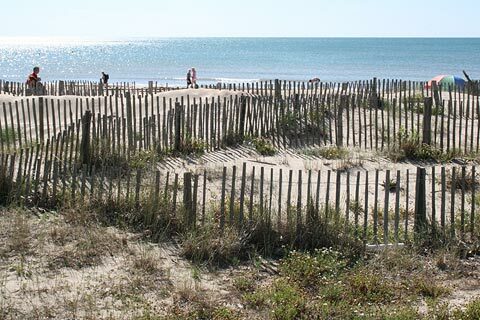 There are several small towns and villages around the Bassin de Thau itself, including the large town of Sete, while the pleasant town of Agde is just a few kilometres to the west of Marseillan. 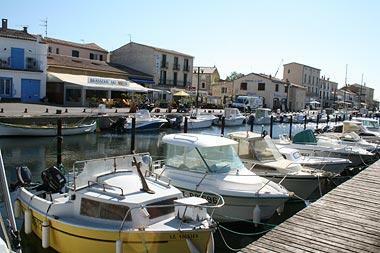 Marseillan is also close to the Canal du Midi and boat trips along the canal are a popular excursion from the town. Regular market(s) are held in Marseillan each Tuesday.